The Lambeau Field Atrium’s Legends Club was full of companies earlier this month that you probably don’t know and entrepreneurs intent on changing that. 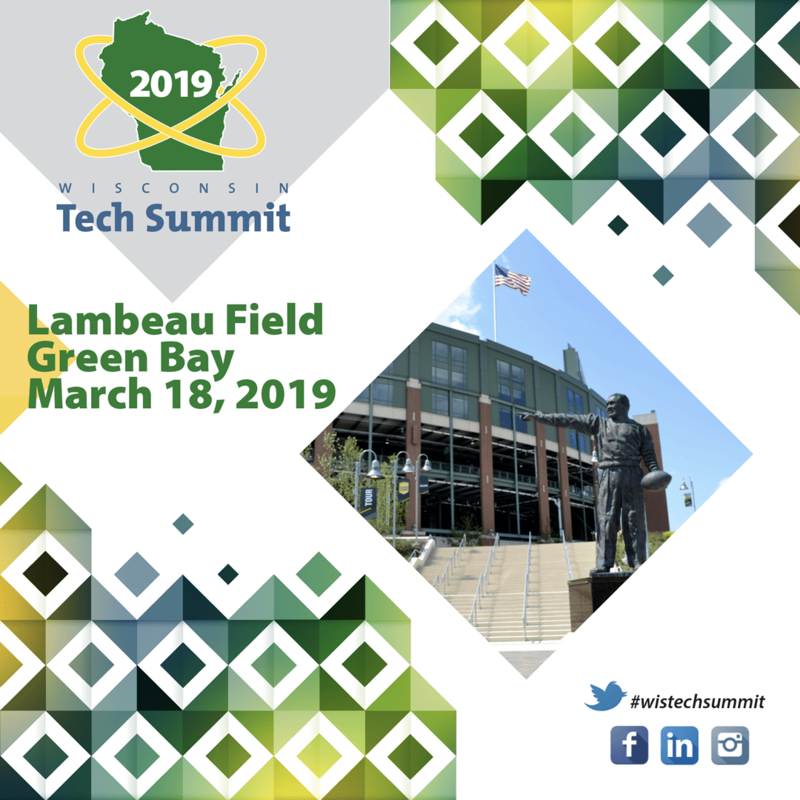 The Wisconsin Technology Council’s annual Tech Summit rolled into Green Bay in mid-March ready to connect the region’s and state’s emerging companies with innovation labs and angel investors. Yes, those are far from household names. But we’re going to guess the Green Bay Box Co. wasn’t widely-known either when George Kress founded it in 1933 — and it’s busy building a new half a billion dollar mill right now. And no one knew how huge Al Schneider’s company would become when he bought his first delivery truck in 1935. This is what makes the Tech Summit so important: These companies could turn funding and technical know-how into the next Breakthrough, a onetime Green Bay startup that’s about to start construction on a new headquarters with room for its nearly 100 employees. Here’s a look at a three organizations Streetwise got to learn more about during the Tech Summit. Mind you, these are far from the only cool things happening in Green Bay and northeastern Wisconsin. Streetwise hopes more updates will be coming. Read up, so you can tell you friends you knew about these companies before they hit it big. Click here to read full story.